Pete is a cool cat and a New York Times bestseller. Kids love the rhythmic storytelling and fun repetition of his adventures. 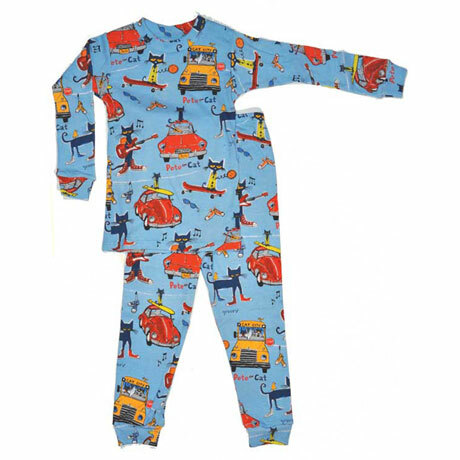 100% cotton PJs are printed all over with Petes. Sizes 2T, 3T, 4T, 5, 6.